These were so good I decided they needed their own post. It’s not every day that a four ingredient, ten minute, no cook recipe is this good. 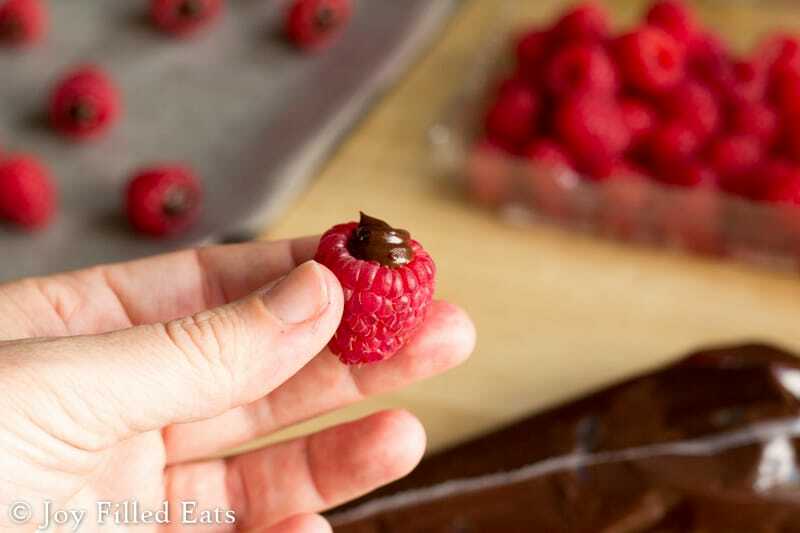 A few years ago we went raspberry picking and I had the idea to fill the raspberries with chocolate ganache. Those little holes in their center are begging for it. These berries are just from costco but they were still ripe, sweet, and delicious. 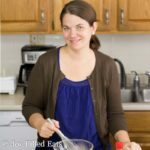 I first got the idea to sweeten baking chocolate from Judy over at Wonderfully Made and Dearly Loved. I make her stevia sweetened chocolate chips all the time. 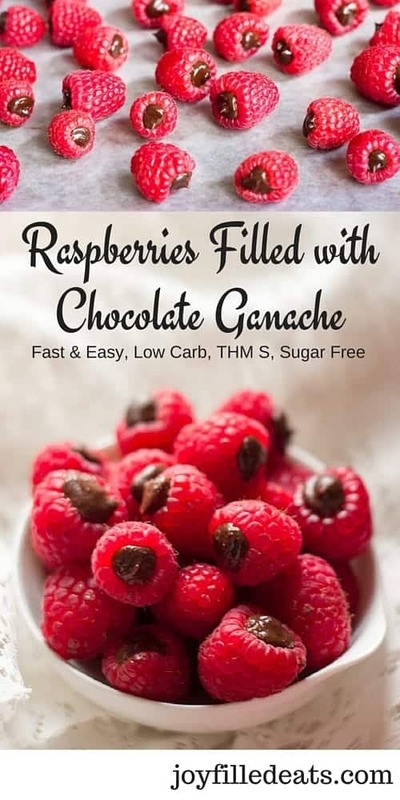 Melt the chocolate in the microwave at 30 seconds increments or in the top of a double boiler. Add the sweetener and stir until smooth. Warm the cream in the microwave or another saucepan. Add the warm cream to the melted chocolate. Transfer to a blender, rocket blender, or food processor (clean the bowl first). Process for a minute or two until thick and shiny. This step really insures a smooth ganache topping. 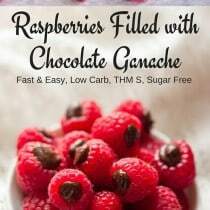 Spoon the ganache into a ziploc bag or piping bag (I buy these ones from Amazon) and pipe into the raspberries. 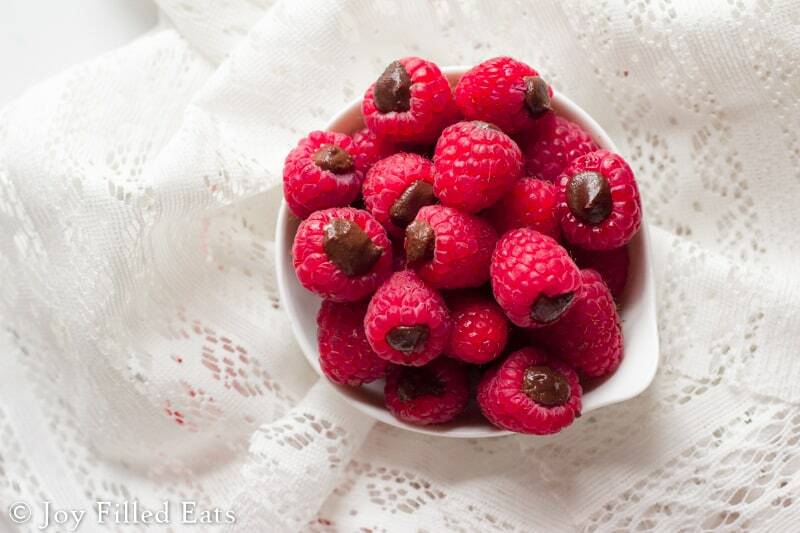 If you have some leftover you can chill it and then shape it into chocolate truffles. 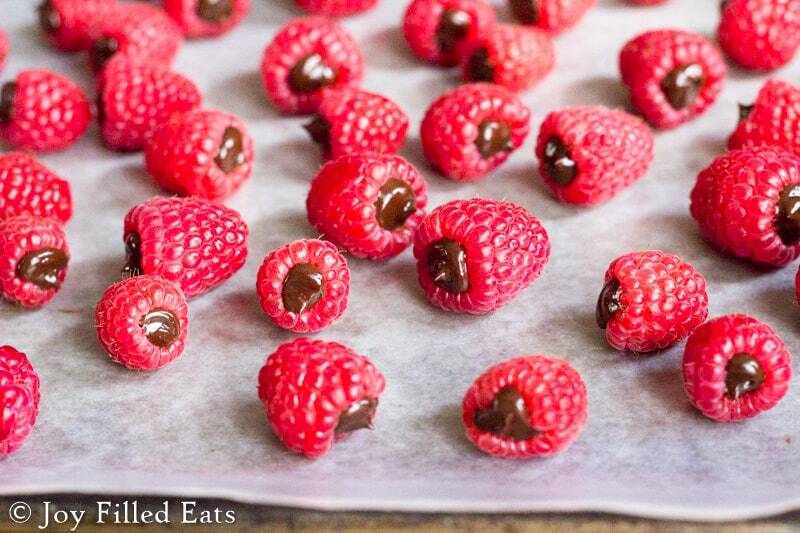 Raspberries Filled with Chocolate Ganache are a delicious summer treat!